Arastta brings the best and most advanced shopping cart features all together. No more hassle! Update your Arastta and its extensions with one-click. Publish your products on your Facebook Page with just a few clicks. 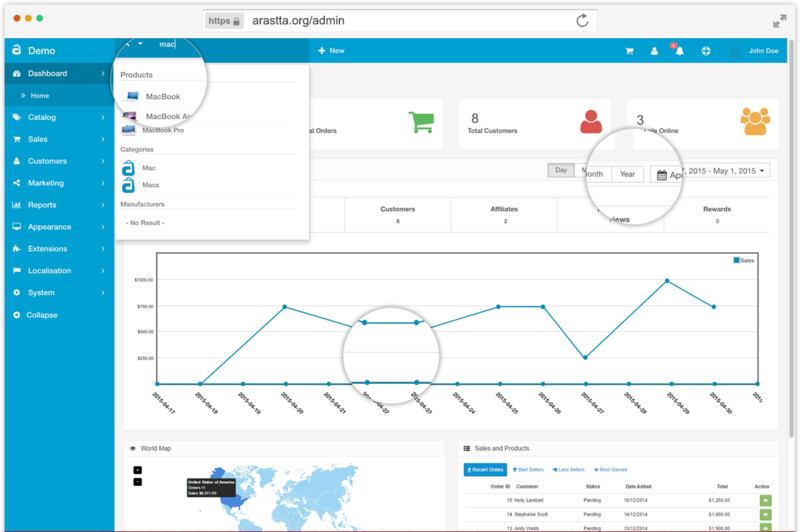 You can easily manage your Arastta thanks to its clean, modern, flat and easy-to-use admin interface. Arastta has most advanced menu management system. Just create your menus, drag & drop and order easily. 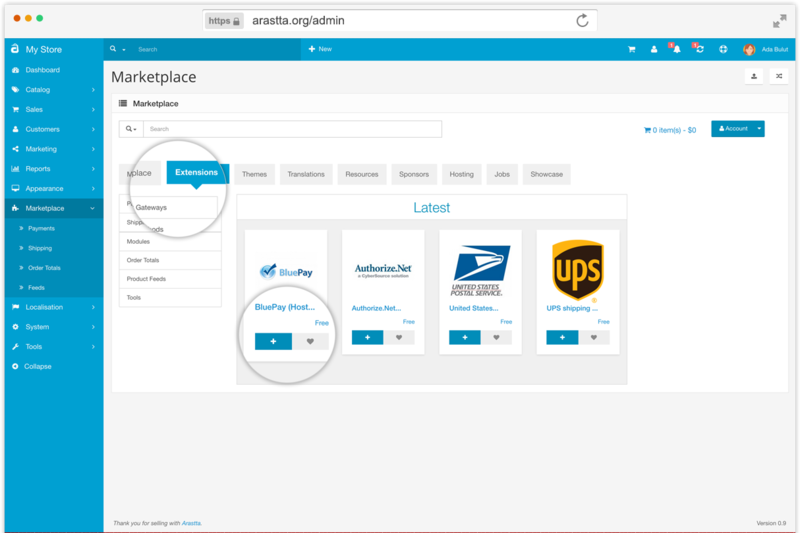 Thanks to built-in Arastta Marketplace in admin panel you can install, purchase or un-install your extensions, themes, translations and more. More than 7-year experience, we know what you need to create successful e-commerce platform(s). Arastta is the right choice for you! Arastta is the right choice for end-users and clients. Just install, configure and start to sell on your e-store. 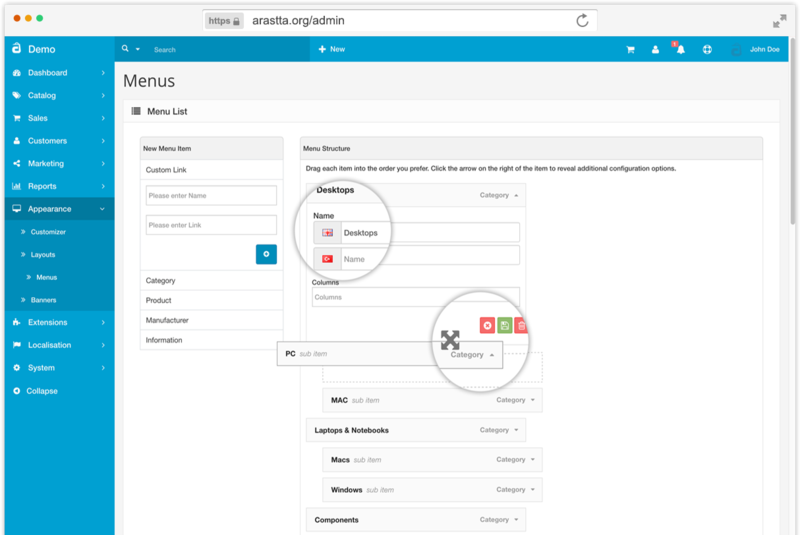 Arastta is a great solution for designers with its easy to customise themes, theme customiser and layout manager. Arastta meets with small, mid and big agenices' expectations. You can trust in Arastta for your customers. Arastta is a perfect solution for developers thanks to its clean ans easy-to-extend code structure, market-place and community.